Tom Bastian for Fortune Magazine — Portraits, Corporate Storytelling, and Reportage Photography based in Washington, D.C.
A couple of months ago, I was fortunate to complete my first assignment for Fortune Magazine. 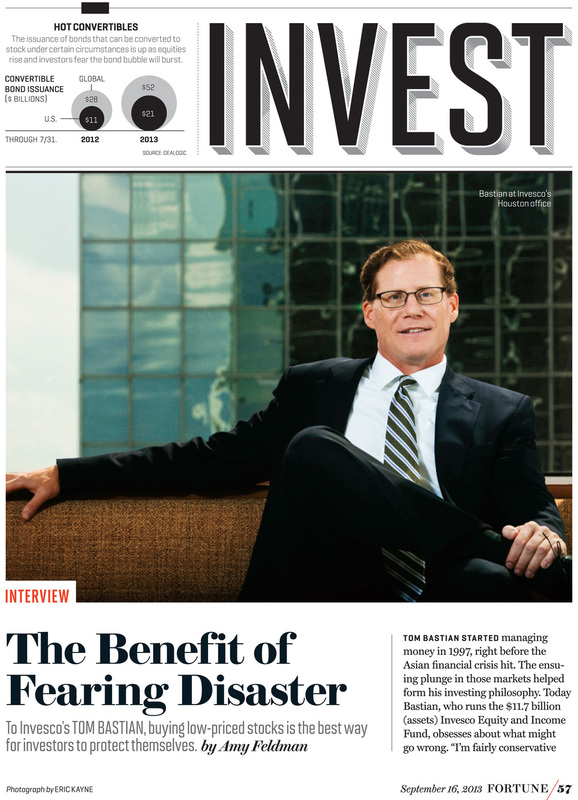 The assignment was to photograph Tom Bastian, who manages the Invesco Equity and Income Fund. I had great backend support from a photo editor at Fortune, Michele Taylor. We discussed options and even location snaps I made before the shoot. It was great knowing that at least the background environments were approved before I even began. We shot in what is probably the biggest boardroom I've ever seen but in the end, went with a couch on the periphery that had a nice, mirrored grid as a background, courtesy of the building next door. Tom Bastian in the Invesco Houston office. Digital tear sheet from Fortune Magazine.